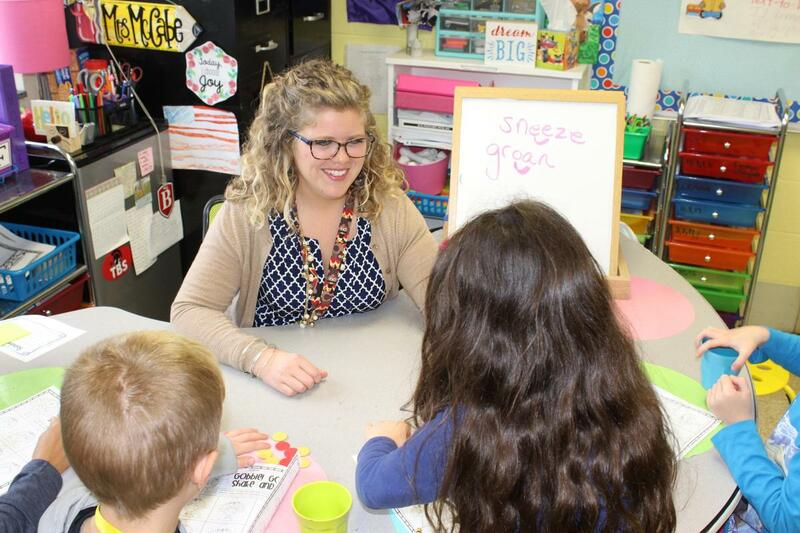 After being named The Burlington School's Teacher of the Year in November, first grade teacher Stephanie McCabe has been named a finalist for the 2019 Excellence in Education Award presented by the Alamance County Chamber of Commerce. This chamber program recognizes the best in teaching in Alamance County. Each year, outstanding educators are selected by their schools to participate in the awards program. In addition to recognizing the Teachers of the Year from the 36 Alamance-Burlington Schools, nominated teachers are recognized an in independent school category and from Alamance Community College. McCabe is in her second year as a staff member at TBS, but is in here sixth year teaching overall.